Diavik Diamond Mine Socio-Economic Agreement. Amended January 2015, signed May 2015. Dominion Diamond Ekati Corporation Socio-Economic Agreement. Socio-economic agreement between the Government of the Northwest Territories and Imperial Oil Resources Ventures Limited, ConocoPhillips Canada (North) Limited and Shell Canada Energy. Socio-economic agreement between De Beers Canada and the GNWT for the development of the Gahcho Kué Mine Project. 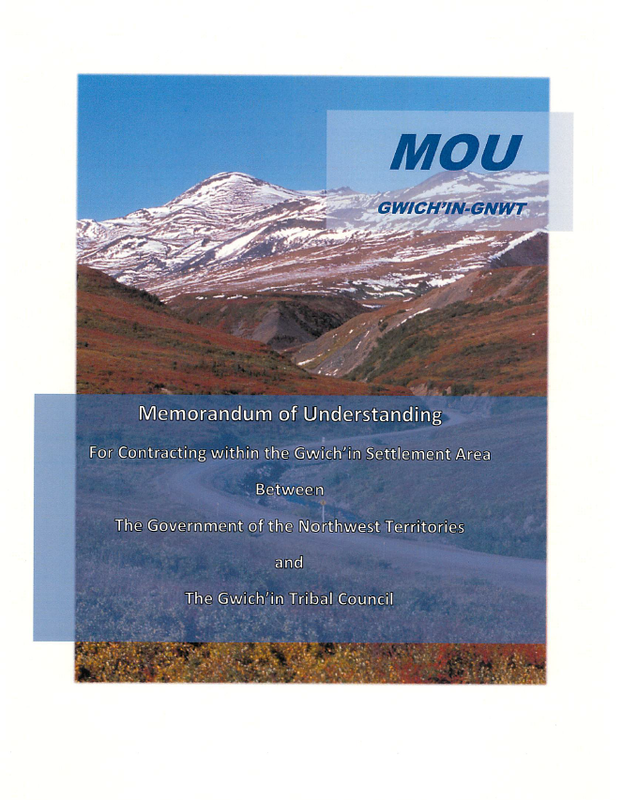 Memorandum of Understanding for contracting within the Gwich'in Settlement Area. Socio-economic agreement between Imperial Oil Resources Ventures Limited, Conocophillips Canada (North) Limited, Shell Canada Energy Limited and the GNWT for the Mackenzie Gas Project.